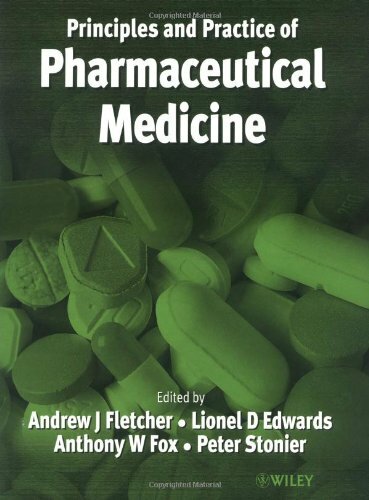 Providing a treatment of pharmaceutical medicine from a primarily US perspective, this volume begins with a detailed overview of its origins, and goes on to examine current career opportunities, education and training. American Academy of Pharmaceutical Physicians. #60;br#62;#60;p#62;#60;b#62;Anthony W Fox#60;/b#62; BSc, MBBS, FFPM, FRCP, MD(Lond), DipPharmMedRCP, CBiol, FIBiol, FRSA is President of EBD Group, a consultancy with offices in San Diego and Munich. Tony is a liveryman #60;i#62;guardant#60;/i#62; of the Worshipful Society of Apothecaries of London. He is an Adjunct (i.e., honorary) Associate Clinical Professor in the Skaggs School of Pharmacy and Pharmaceutical Sciences, at the University of California, San Diego. His publications span several areas of pharmaceutical medicine, e.g. regulation, pharmacology, clinical trials, pharmacovigilance, analgesics, migraine, genotoxicology, and metabolism, and he is named as inventor on several patents. He is on the editorial boards of several journals, and serves in a more senior capacity for two of them. #60;br#62;#60;p#62;#60;b#62;Peter D Stonier#60;/b#62; BA, BSc, PhD, MBChB, MRCPsych, FRCP, FRCPE, FFPM has 29 years experience in pharmaceutical medicine. Peter is Director of Education and Training of the Faculty of Pharmaceutical Medicine, Royal Colleges of Physicians of the UK. He is Medical Director of Amdipharm Plc, and of Medical Resource Provider Axess Ltd, and Visiting Professor in pharmaceutical medicine at the University of Surrey, which under his direction introduced the first MSc degree in Pharmaceutical Medicine in 1993, which is now part of the Postgraduate Medical School of the University. His publications include edited works in human psychopharmacology, pharmaceutical medicine, clinical research, medical marketing, and careers in the pharmaceutical industry. He is a member of the Association of Pharmaceutical Physicians and Investigators (APPI). Professor Stonier has been elected a Fellow of the Royal Society for the encouragement of Arts, Manufactures and Commerce. Disease Management--What Does It Mean?